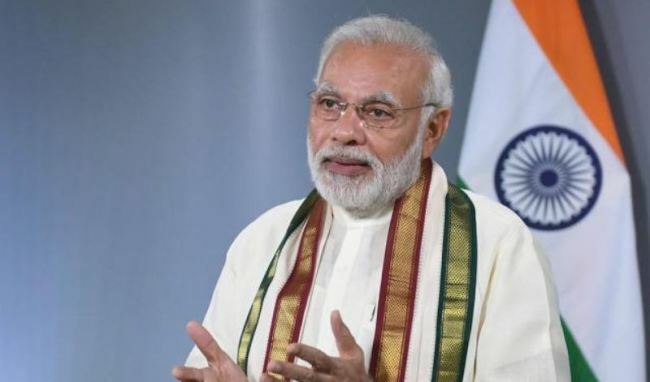 Indian Prime Minister Narendra Modi, 68, was chosen for the Seoul Peace Prize this year for his contributions to the growth of the Indian and global economies, crediting “Modinomics” for reducing social and economic disparity between rich and poor. 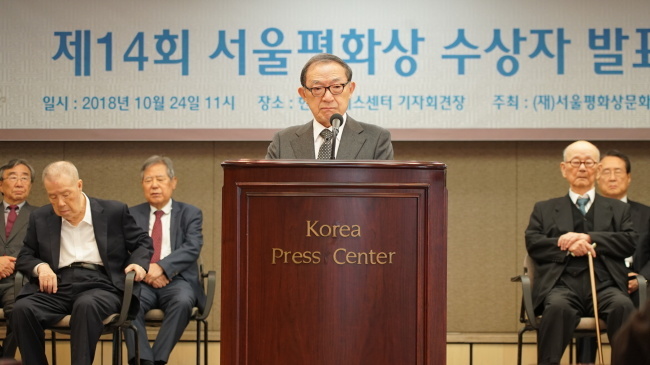 The Seoul Peace Prize Cultural Foundation, headed by Chairman Kwon E-hyock, made the announcement Thursday, following its final selection meeting in Jung-gu, Seoul. Selection Committee President Choe Chung-ho stated the 12-member committee conducted a rigorous, objective and in-depth selection from among over 100 candidates from around the world, including incumbent and former heads of state, politicians, business leaders, religious leaders, scholars, journalists, cultural figures, artists, athletes and international organizations. The committee labeled Modi “the perfect candidate.” He will become the 14th laureate of the Seoul Peace Prize. Choe explained that Prime Minister Modi was chosen for his efforts to improve the lives of India’s 1.35 billion people, for establishing economic cooperation ties with various countries to improve human welfare and promote world peace and for greatly contributing to the stability of the Asia-Pacific region by promoting international cooperation through diplomatic policies. Since taking office in 2014, Modi has initiated a string of economic policy changes aimed at attracting foreign investment across sectors. Under the “Make in India” initiative, India has launched campaigns to promote development in 25 industrial sectors, including automobiles, railways, ports and shipping, information technology, biotechnology, pharmaceuticals, power and aerospace. As per International Monetary Fund reports, India has shown a consistent and high growth rate of 7.6 percent, which is expected to continue until 2022. Modinomics made India the world’s fastest growing economy, surpassing the growth rate of major global economies and making it a prime investment destination. Bold regulation reforms have been made to attract foreign investment in order to turn India into the manufacturing hub of the world. Modi gave India’s poorest people direct access to welfare benefits by implementing monetary reforms that encouraged cashless transactions and moved more people into the formal banking sector. He also launched the Clean India Mission to improve sanitation across the country. The construction of household and community-owned toilets has greatly benefited the people of India, according to the committee. Modi is to be presented with the award, a plaque and an honorarium of $200,000. Former awardees of the Seoul Peace Prize include International Olympic Committee Chairman Juan Antonio Samaranch, US Secretary of State George Pratt Shultz, the Doctors Without Borders nonprofit organization, Nobel Peace Prize laureate Denis Mukwege and UN secretaries-general Kofi Annan and Ban Ki-moon. Four among the former 13 awardees -- Doctors Without Borders, Annan, Grameen Bank founder Muhammad Yunus and Mukwege, founder of Panzi Hospital -- went on to win the Nobel Peace Prize after receiving the Seoul Peace Prize.